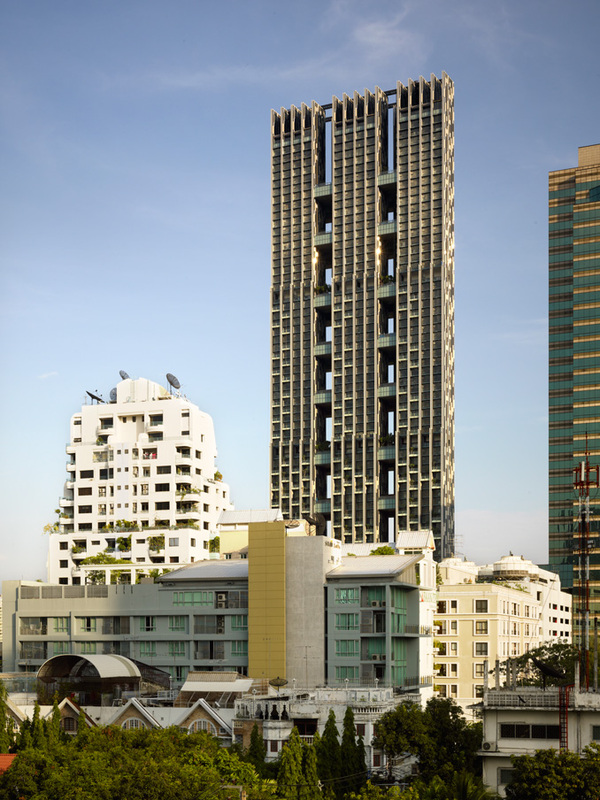 Height: 230 m»The Met«, a high-rise apartment building in Bangkok, Thailand, has won the prize, worth EUR 50,000, for the world’s most innovative high-rise. Burj Khalifa in Dubai by SOM, currently the tallest high-rise in the world, and one of the finalists for the IHA 2010, was honored with a special commendation for technological innovation. 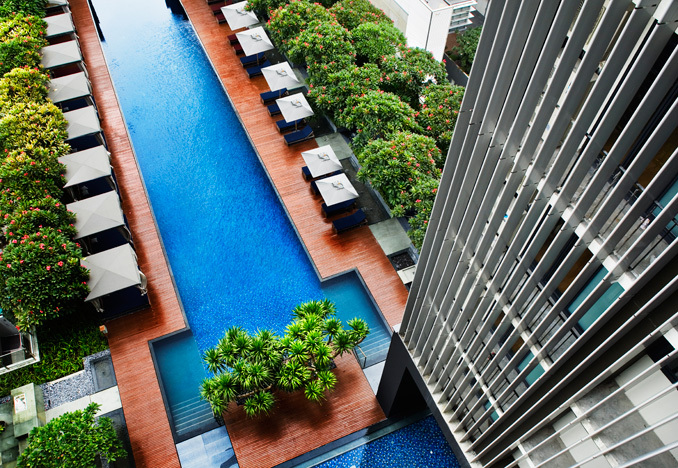 At a height of 230 meters,»The Met« (design planning: WOHA, Singapore, associated architects: Tandem Architects, Bangkok) strikes an innovative green note at the heart of Sathorn, a tightly-packed inner-city district of Bangkok. »The idea is to open up a high-rise building so that it almost literally breathes, right in the middle of a mega-city,« was the verdict of the jury, which was chaired by Spencer de Grey, Head of Design at Foster + Partners, London, winners of the IHA 2008. Boasting balconies covered in greenery on the outside of the building and free areas cut crosswise into the body of the building, this high-rise stands out for its great transparency. Alongside this year’s winner, the remaining four finalist buildings were also commended and the special award for technological innovation presented. Commendation certificates were awarded to the 262-meter high-rise apartment building Aqua Tower (Chicago) by Studio Gang (Chicago), the 828-meter Burj Khalifa (Dubai) by SOM (Chicago), the 492-meter Shanghai World Financial Center (Shanghai) by KPF (New York) and the 203-meter vocational school center Tokyo Mode Gakuen Cocoon Tower (Tokyo) by Tange Associates (Tokyo).